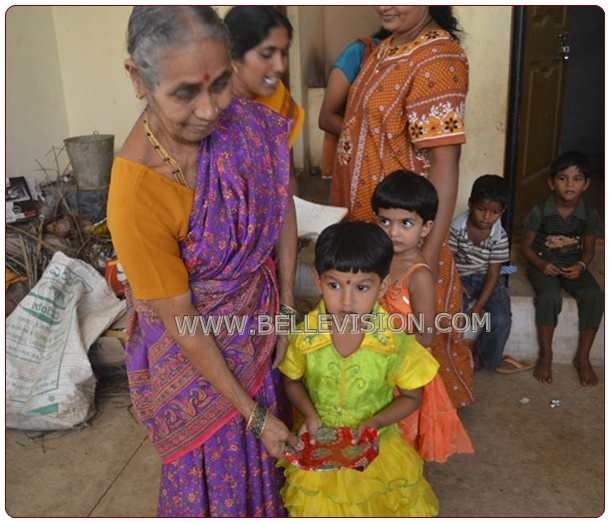 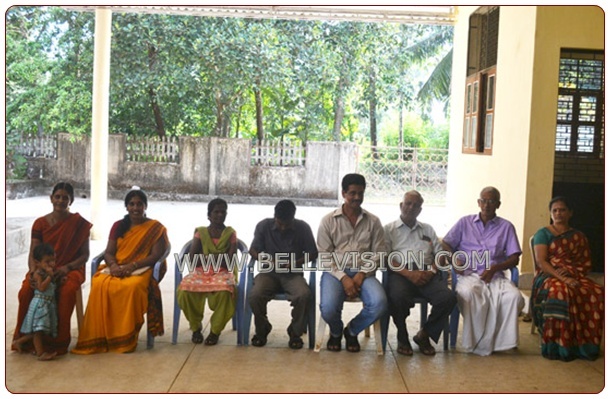 Moodubelle, 21 Nov 2012: Children’s Day was celebrated in a unique way in the Devaragudde Balwadi on November 21, 2012 at 10.30 am. 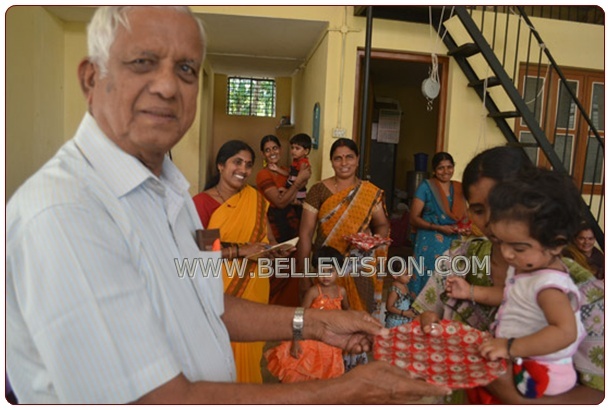 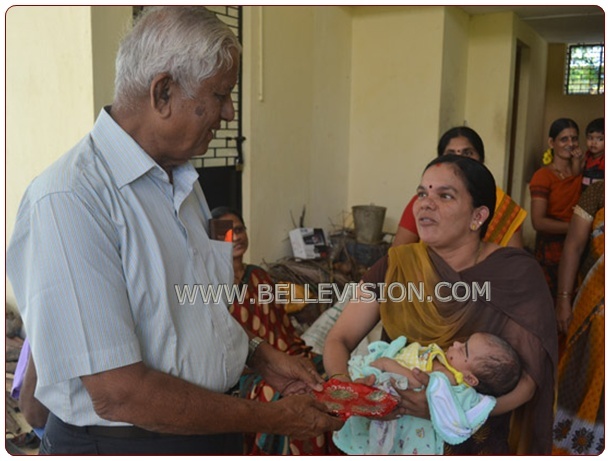 in the premises of Shri Sadananda Rao, the former senior teacher of the Church Aided Higher Primary School. 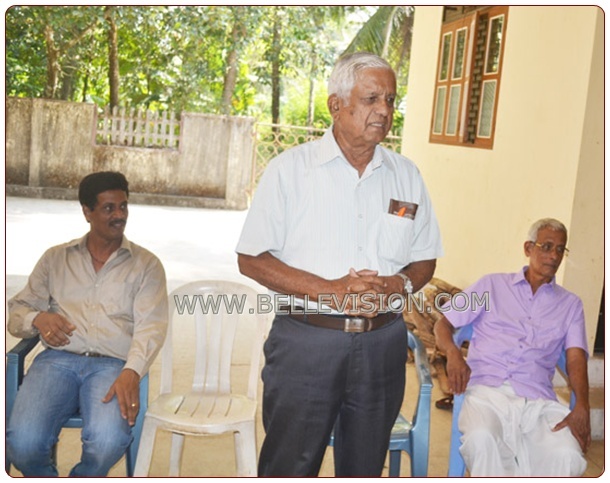 Commodore Jerome Castelino was the chief guest of the function. 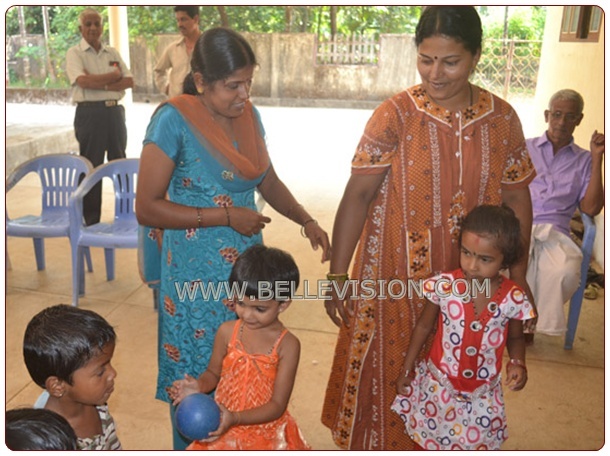 Mothers had accompanied their children right from infants to 6 years. 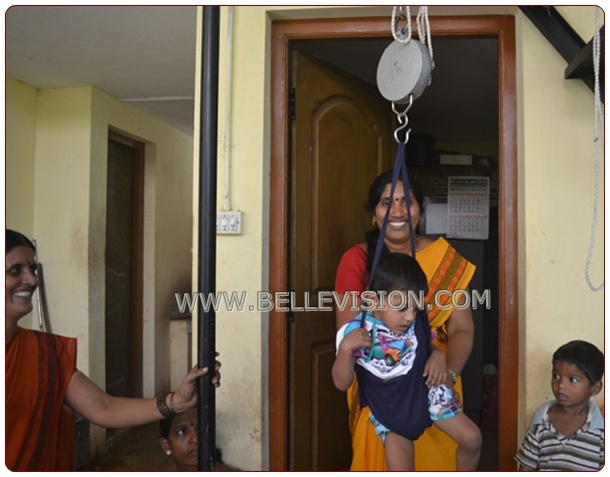 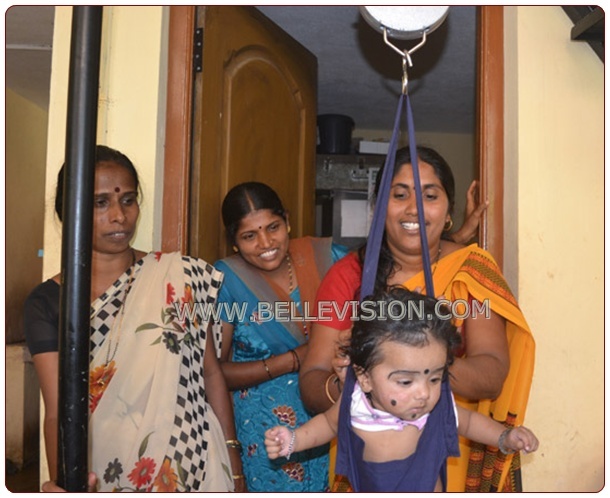 As the mothers came with their children, the Balwadi teacher Sunita took their weight age wise with the help of the suspended weighing device. 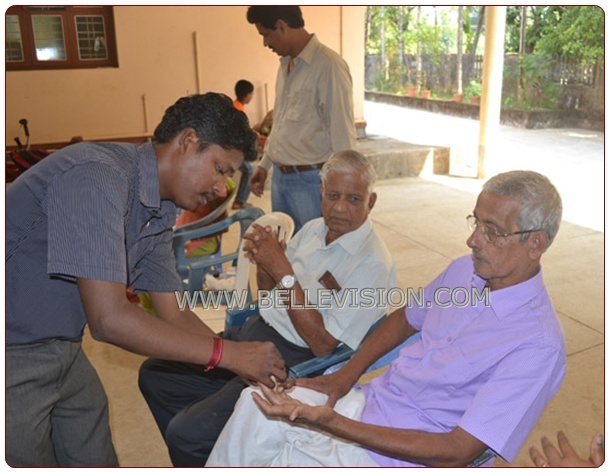 Meanwhile, Accredited Social Health Assistant (ASHA), Shanti and Junior Health Assistant, Dinesh from the Pernankila Health Center made random blood check up to check the sugar and hemoglobin contents of the adults. 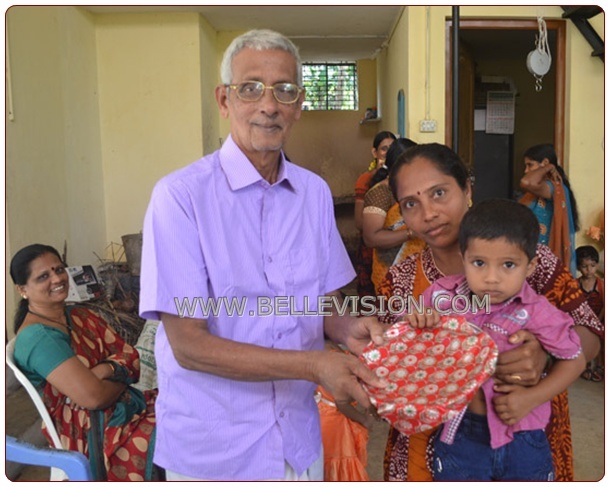 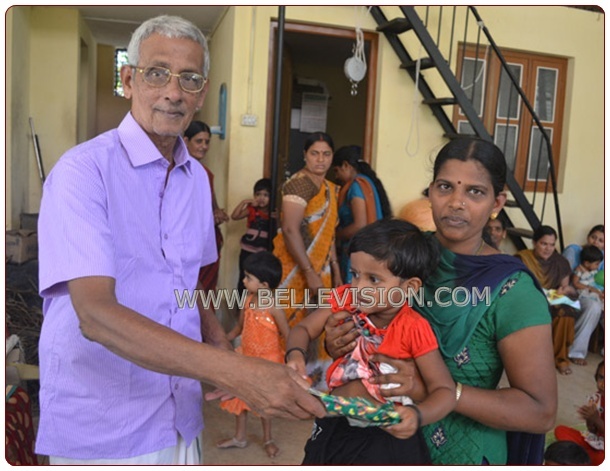 Few games were organized for the children and prizes were distributed by the guests including Commodore Jerome Castelino, Shri Sadananda Rao, Mrs. Rao, Shri and Mrs. Niranjan Rao and Mrs. Rekha Shetty. 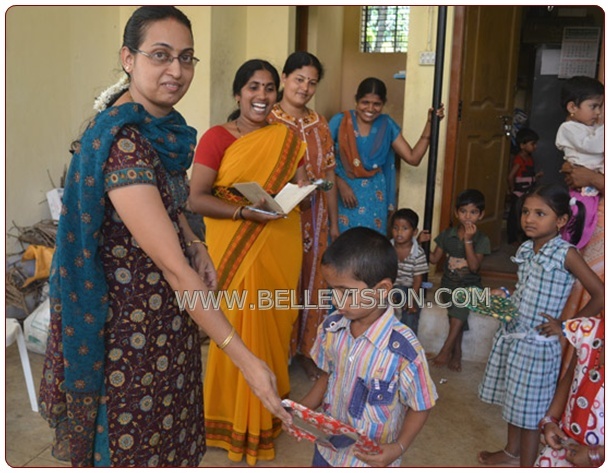 All the children were given gifts and sweets. 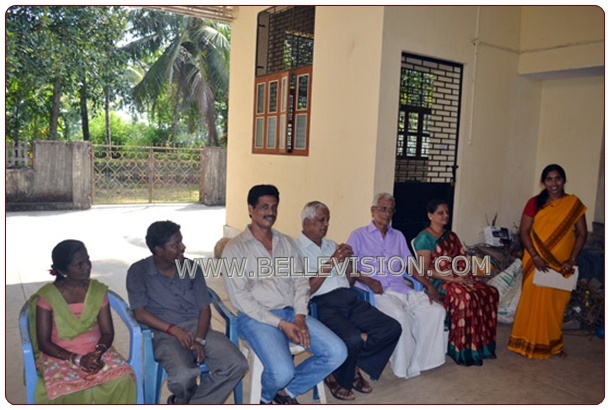 According to Shri Sadnanada Rao, the Balwadi of Devaragudde was established in August 1995 in a make-shift room provided by him in his own house. 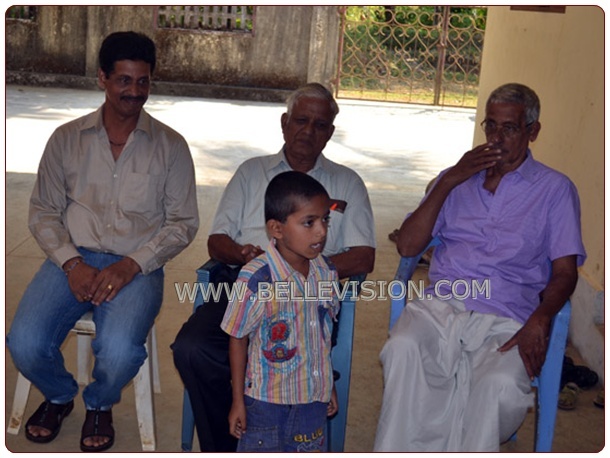 Later a structure was constructed in January 1998 on a piece of land provided by Shri Sadananda Rao. 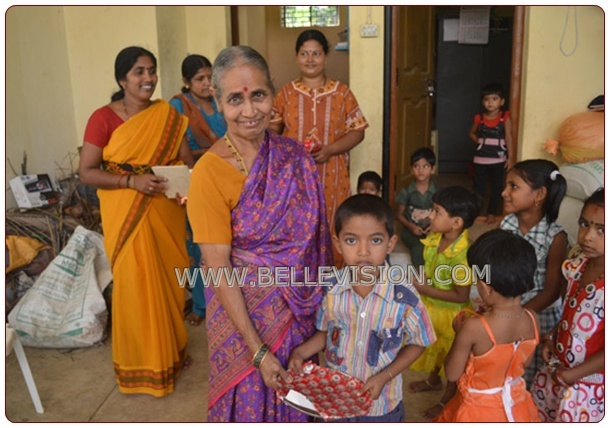 The first teacher of the Balwadi was Usha and since March 1998, Sunita has been the teacher. 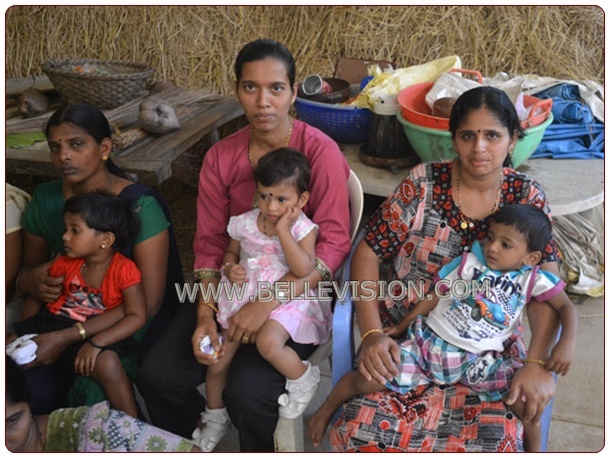 When the Balwadi had started in 1995 there were around 20 children whose number has reduced to around 12 at present. 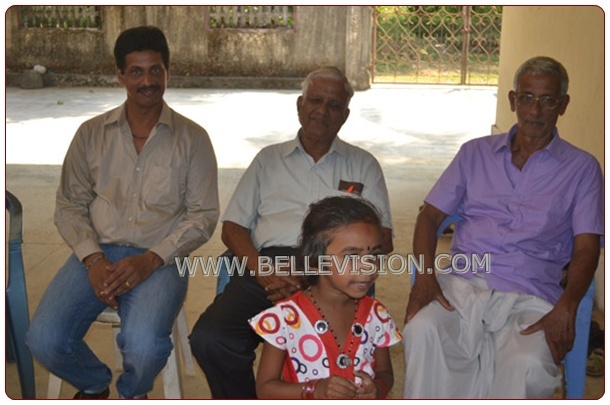 However, according to Sunita there are 42 children between the age of 0 and 6 years in the jurisdiction of the Balwadi covering an area from Poidapadi to Guddottu and Palemar to Kongibailu. 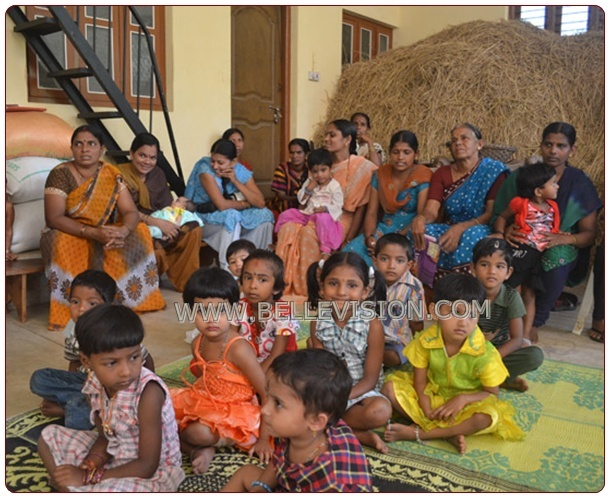 The government through Balwadi provides nutritious food for children and pregnant women of the area.